(TibetanReview.net, Mar12, 2018) – China on Mar 11 made fundamental changes to its constitution, paving way for Xi Jinping to remain president for life by doing away with the two five-yearly term limit, enshrining the Xi Jinping Thought on Socialism with Chinese Characteristics for a New Era, and declaring the leadership of the Communist Party of China the defining feature of socialism with Chinese characteristics. These and other amendments, including the institution of a new super anti-corruption department, designed to strengthen party control of the state and government, were adopted at the first session of the 13th National People’s Congress (NPC), China’s rubber-stamp parliament, with only two “no” votes and just three abstentions from the nearly 3,000-strong delegates. Xi’s thought was written into the Constitution’s preamble, sitting along with other guiding theories including Marxism-Leninism, Mao Zedong Thought, Deng Xiaoping Theory, the Theory of Three Represents, and the Scientific Outlook on Development. China’s official Xinhua news agency said Mar 11 that the constitutional amendment had enriched clauses on the patriotic united front, harmonious relations among ethnic groups, and peaceful foreign policies, including the addition of building a community with a shared future for humanity. “The greatest strength of the system of socialism with Chinese characteristics is the leadership of the CPC,” Cao Qingyao, an NPC deputy and a district Party chief of Chongqing Municipality, was quoted as saying. “The revision has enriched provisions concerning upholding and strengthening the overall CPC leadership and is significant to ensuring the Party and the country to forge ahead along the path of socialism with Chinese characteristics,” he has said. 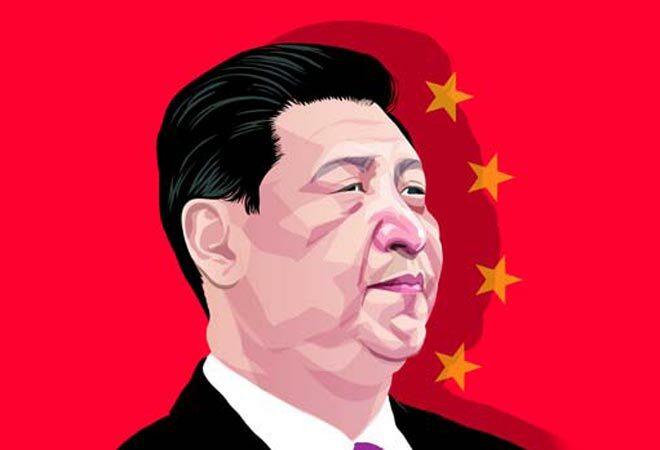 Since taking over the Communist Party in 2012, Xi has steadily tightened his grip on virtually all aspects of the party, state apparatus and even how China’s citizens should think, earning the unofficial sobriquet of “Chairman of Everything”, noted an AFP commentary Mar 11. Xi’s existing titles without official limits as the General Secretary of the Communist Party and Chairman of the Central Military Commission already makes him the most powerful leader in the country. Doing away with the term limit on President, the least powerful of his three top positions, only means that he will not have to exercise those powers through a proxy. The amendment confirms Xi’s status as the most powerful leader of China since Mao Zedong died in office in 1976.